Ms. Goodkin is a graduate of Harvard University, Harvard Law School, and Oxford University, where she was a Rhodes Scholar. 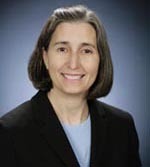 A former appellate attorney, Susan lectures and writes nationally on education issues. Her articles have appeared in the Washington Post, Miami Herald, Philadelphia Enquirer, Sacramento Bee and Houston Chronicle, as well as many other publications. She is also an Associate of the Negotiation Strategy Institute, and has lectured widely on negotiation and gender, as well as legal ethics. David Gold (California): Mr. Gold holds Harvard undergraduate and graduate degrees focused in applied economics, as well as a J.D. from Harvard Law School. David taught economic theory at Harvard College, and his work on negotiation, economics and game theory led to his appointment to the Harvard Law School research faculty as the first Harvard Negotiation Project Fellow. David is currently Managing Director of the Negotiation Strategy Institute. In addition to lecturing nationally on strategic issues in negotiation, David writes widely on both negotiation and education issues. Shannon McGuire (Kansas): Ms. McGuire is the parent of a gifted learner and a child with learning disabilities. Shannon has been actively pursuing the rights of children who are gifted or have learning disabilities for over 10 years. During this time, she has worked with her local superintendents, PTA, the State Board of Education, and Families Together Inc., to ensure that her children, and others like them, receive an appropriate education. Sonja Montiel (California) Ms. Montiel is a former college admissions officer at UC Santa Barbara, founder of the college admissions counseling firm College Confidence (www.collegeconfidence.com) and the creator of the "College Road Trip" admissions planner. Sonja has a Masters Degree in Education from USCB. In addition to college counseling, she helps younger students identify and work with their learning styles, understand their learning weaknesses, and focus on their strengths. Ben Paris (New York): Mr. Paris is a national test preparation expert, with over 15 years experience in the field. He is the former Curriculum Director for Kaplan Test Prep, and creator of the award-winning Peterson's Test Prep SAT Online course. His recent publications include SparkNotes' SAT All-Nighter and ACT All-Nighter. Ben is also a personal tutor for students preparing for the SAT, and has helped thousands of students to do their best on standardized tests. Judith C. Smith (Oregon): Ms. Smith is the parent of adult children and a grandparent. She has been an advocate for gifted children for more than 20 years through active participation in local, regional, and state organizations. As a facilitator for SENG (Supporting Emotional Needs of the Gifted) model parent discussion groups she has heard many stories of the joys and frustrations of living with gifted children. She believes that sharing experiences will help families better meet children's needs. Judith Vida, MD (California): Dr Vida has been a practicing psychiatrist and psychoanalyst for over 30 years, and was one of the founders of the Institute of Contemporary Psychoanalysis in Los Angeles. She served on the school board of South Pasadena, and owes her commitment to the concept and practice of gifted education to both her sons.